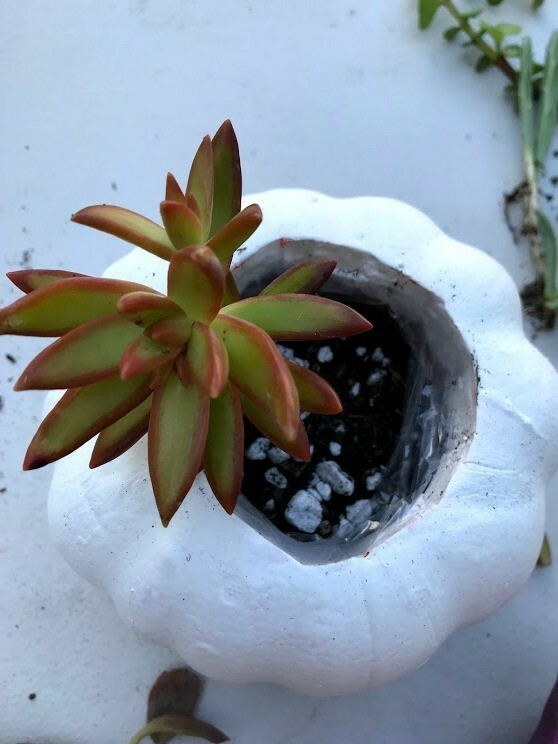 This is a cute succulent pumpkin pot DIY for fall. 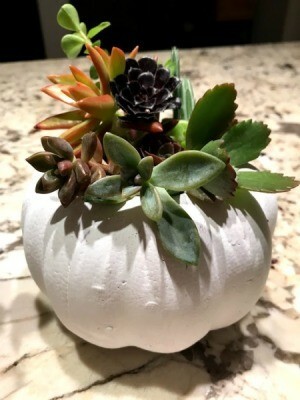 It is easy and very inexpensive to make. 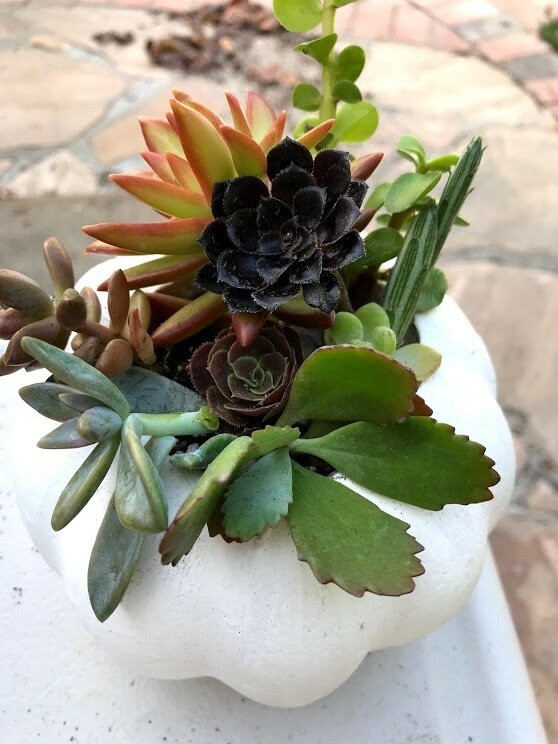 It is perfect to give as gifts to teachers, co-workers, family, friends, for your home decor, or to use as centerpieces for any fall parties/weddings. 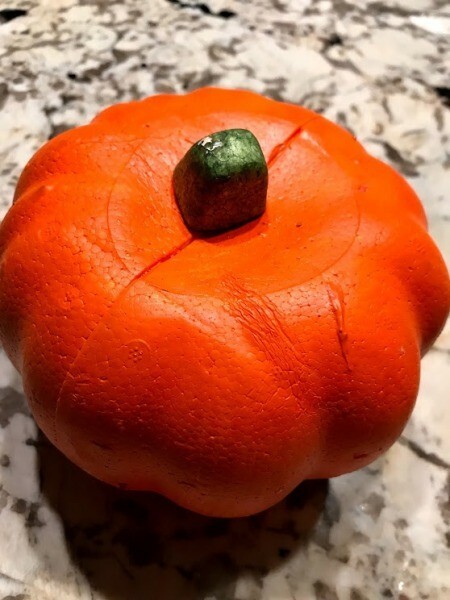 I bought this foam pumpkin from Dollar Tree for $1. 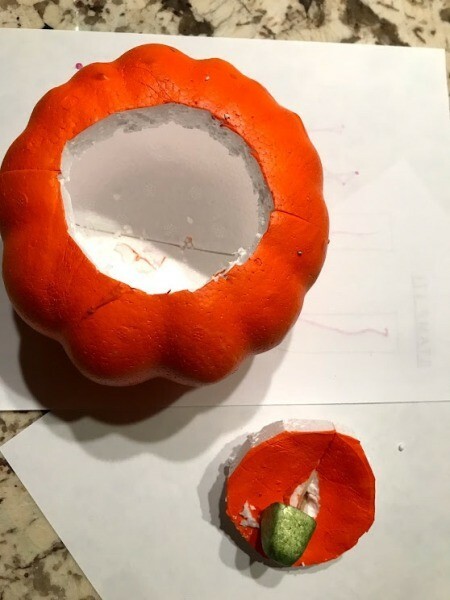 I used a knife and cut off the top. 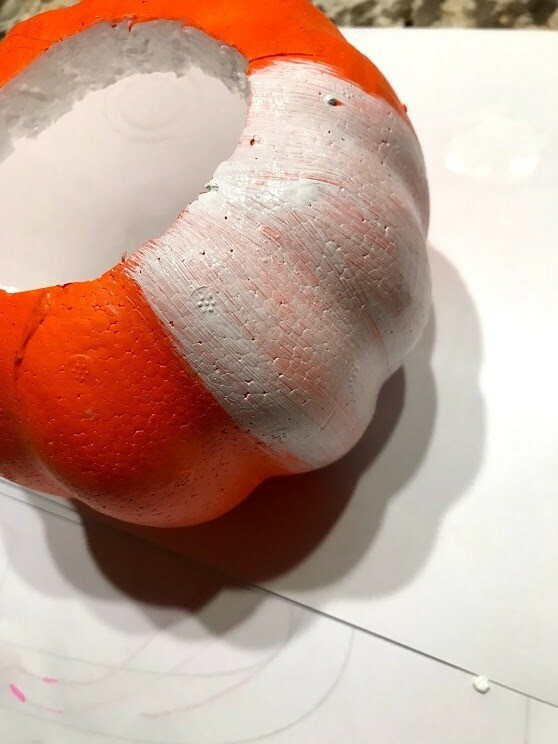 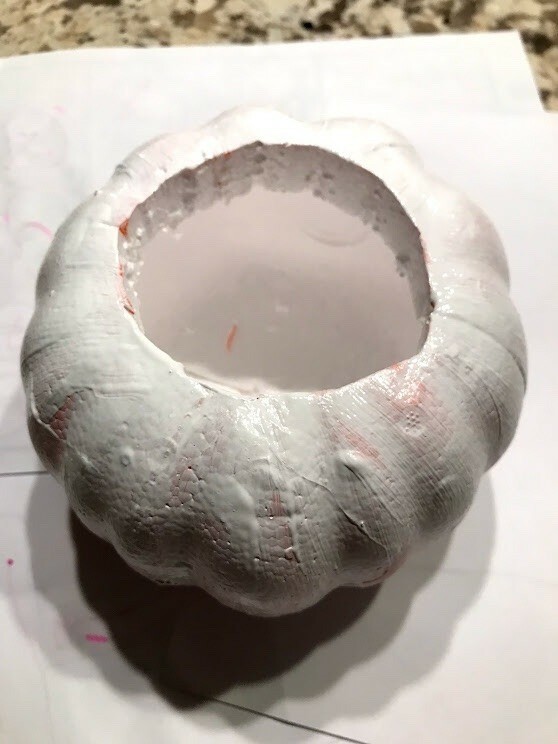 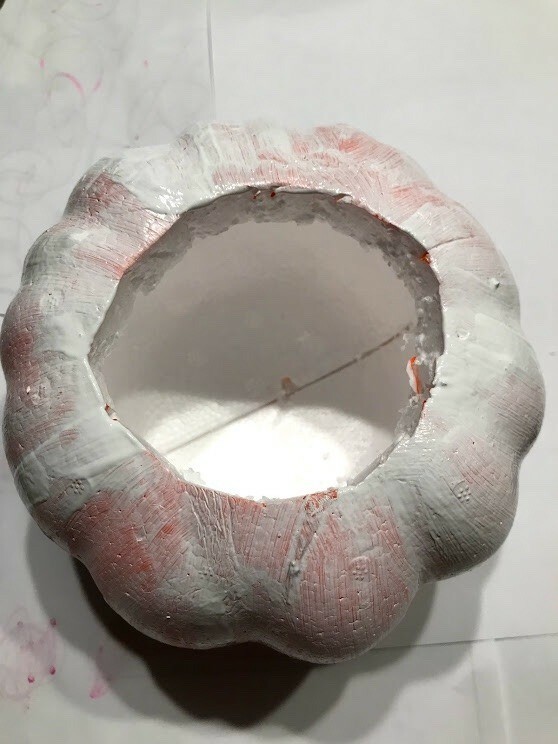 Apply your desired paint color (if you want it to be a different color, I wanted my pumpkin to be white). 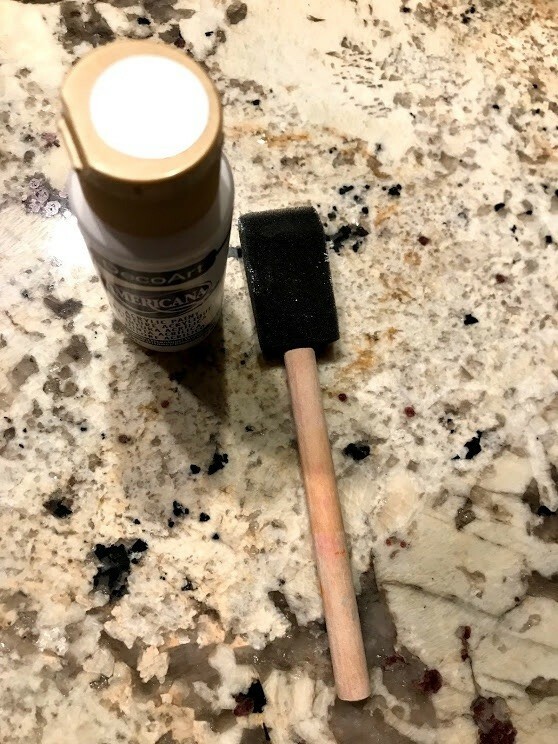 I had to use a couple of coats, but allow to dry in-between coats, then let dry completely overnight. Place a plastic bag inside the pumpkin and cut down to fit the hole. 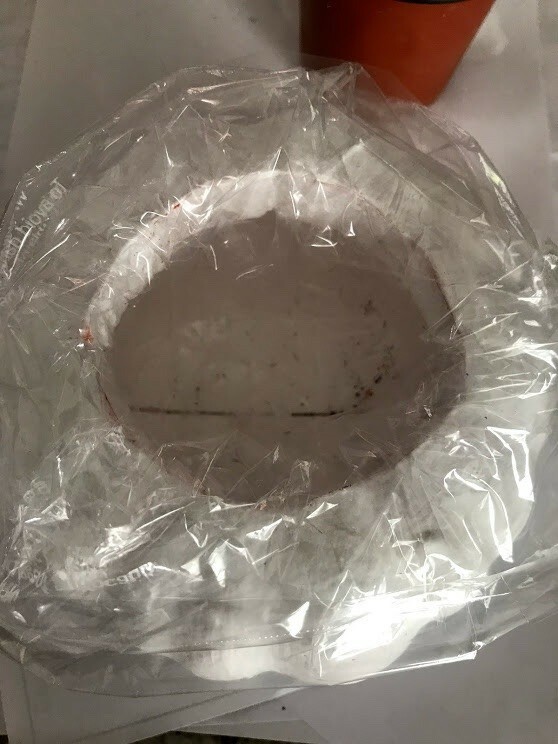 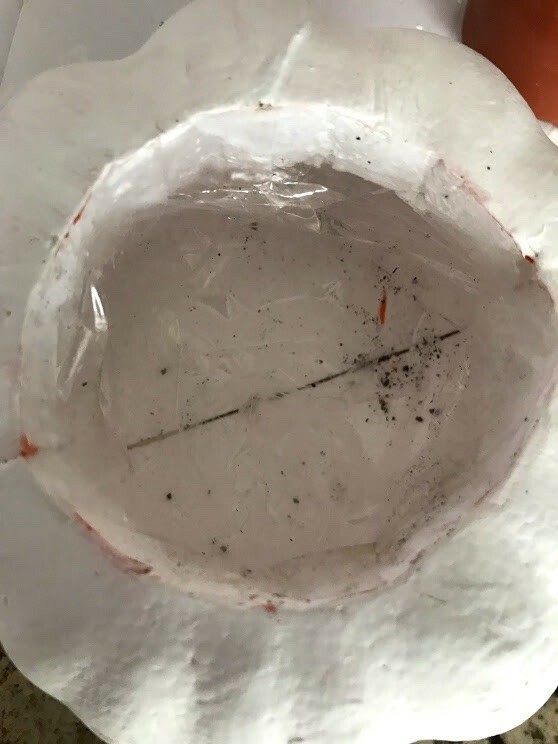 Add soil into plastic bag/pot. 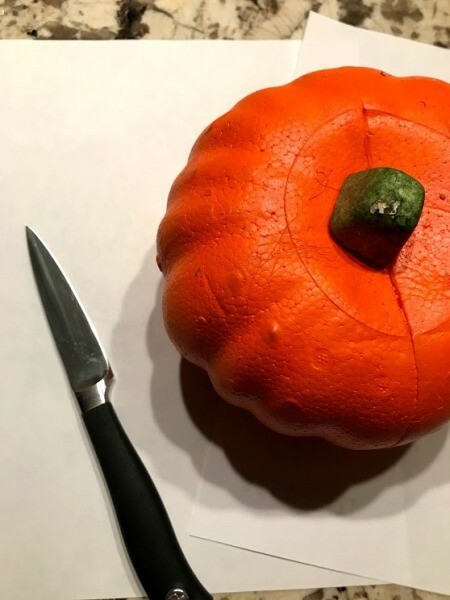 From your garden, find cuttings you want in your pumpkin and cut. 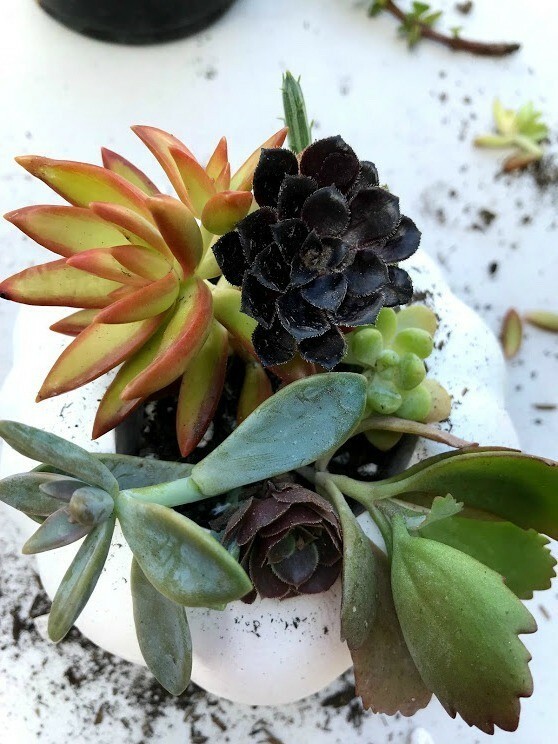 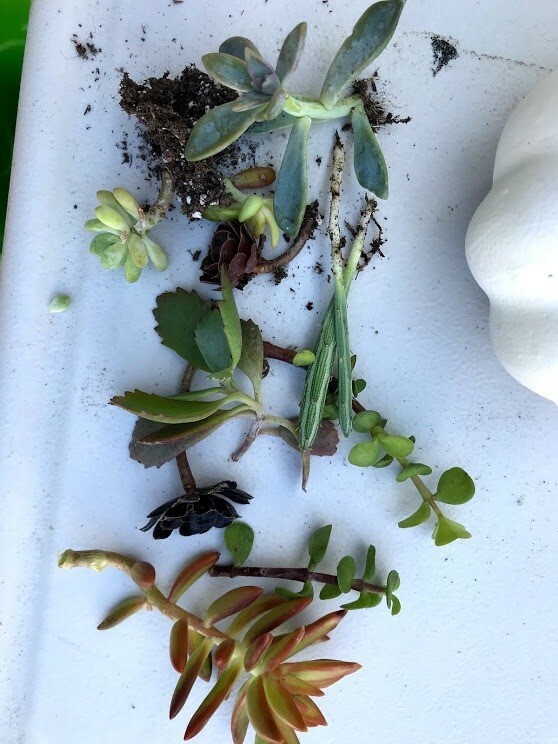 The fun part, plant the succulent cuttings into the pot and decorate to your liking.